From Tim Dobbs: I recognize my father-in-law in your Men at Work photo. He is the one wearing a hat standing outside the fence and the one farthest to the right of the picture in front. His name is Jerry Martino. He was a lightweight boxer on the Santa Fe and a pretty good one from what I hear. According to Phil Eakins of Sasebo, Japan: The man in the photo titled "Which Captain?" 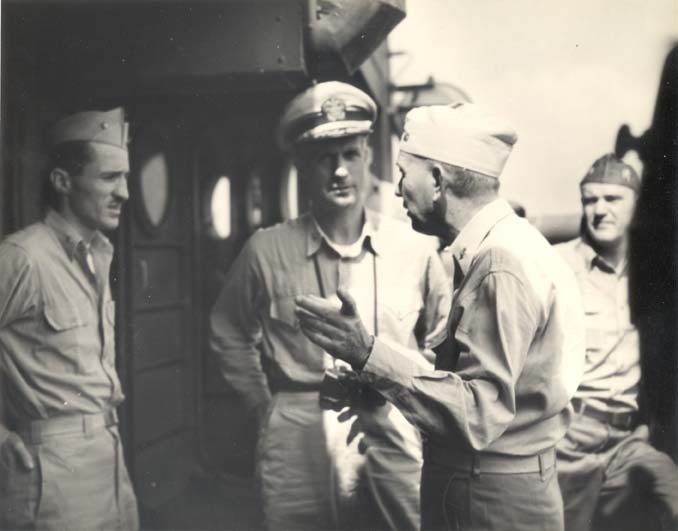 is Rear Admiral Morton L. Deyo who rode the SANTA FE into Sasebo (as Commander, Task Force 55 if I recall correctly) to begin preparations for the Occupation of Sasebo. Also, Barney Banyas identified Deyo as an Admiral. "The image which you have captioned “Which Captain?” is actually an Admiral. [Barney] believes there are two stars on his collar." And this from Don Jackson: Men at Work: Which Captain? 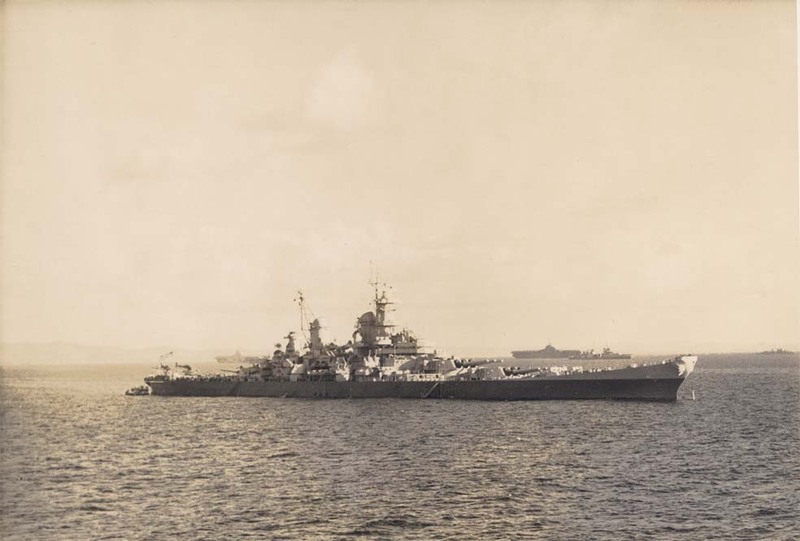 I am sure someone else has said that it is the Commander of Cruiser Division Thirteen which consisted of Santa Fe (Flagship) CL-60), Birmingham CL-62, Mobile Cl-63 and Biloxi. (CL-80). 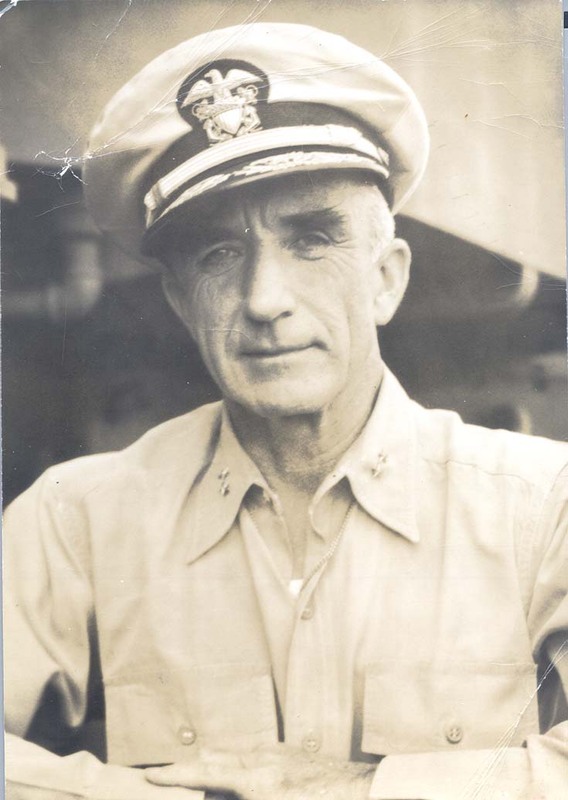 He is Rear Admiral Deyo (two stars on each side of his shirt collar. 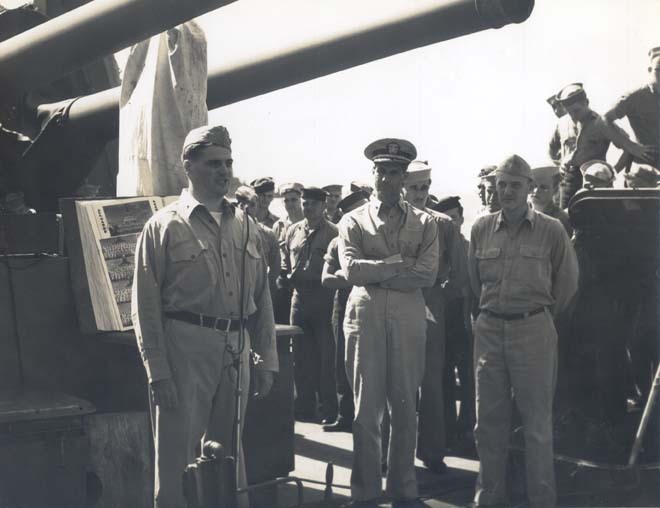 Commanding Officer; Rear Admiral Dubose, Cruiser Division Commander; Unknown in background. 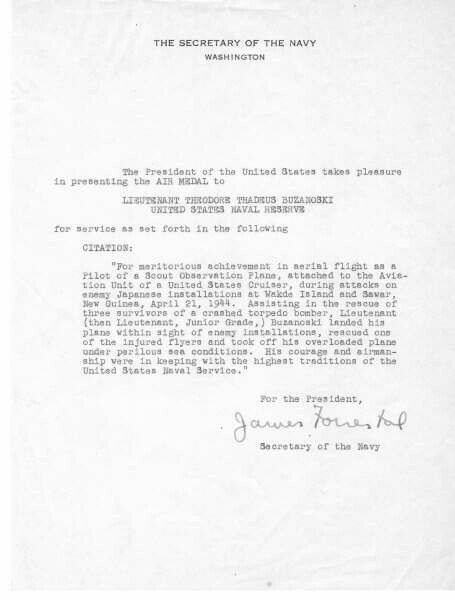 Barney Banyas says: "Work #2 is the hangar deck, and that hoist was used to move the planes, among other things." 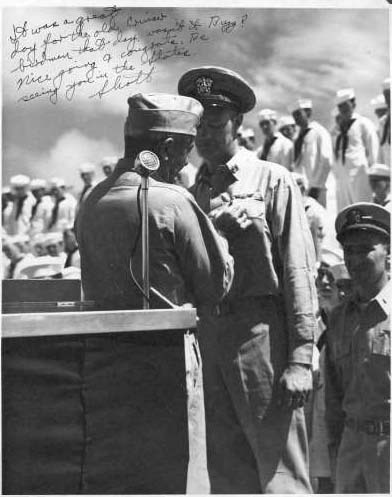 This from Don Jackson: Medal: I believe that Rear Admiral Dubose is making the presentation but don't know to who. 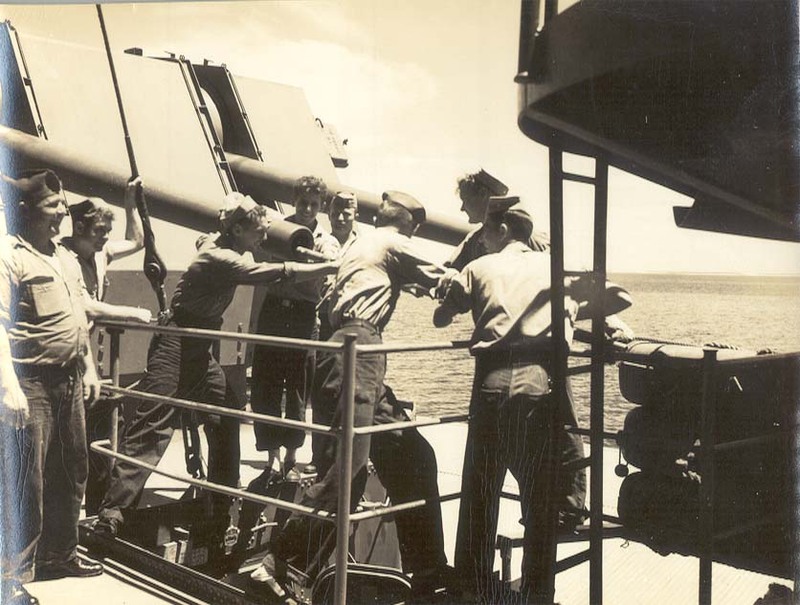 He was the Cruiser Division Commander prior to Rear Admiral Deyo. 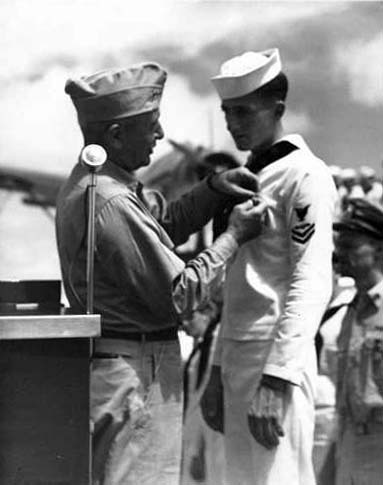 I was scanning through your Santa Fe website as I occasionally do and noticed that the sailor receiving the medal in the photo labeled "Medal" in the Men at Work section had not been identified. 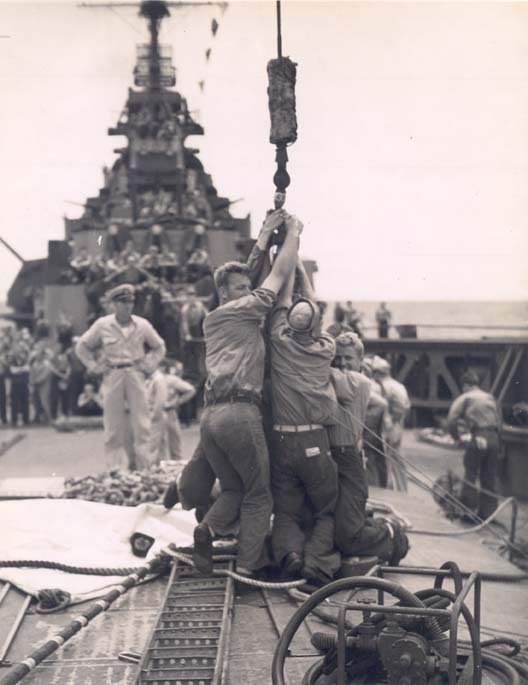 I'm confident that it is Art Hickman, and the date of the photo is August 12, 1944. The attached scan of an addendum to the Plan of the Day for that date provides a little more information about the event. 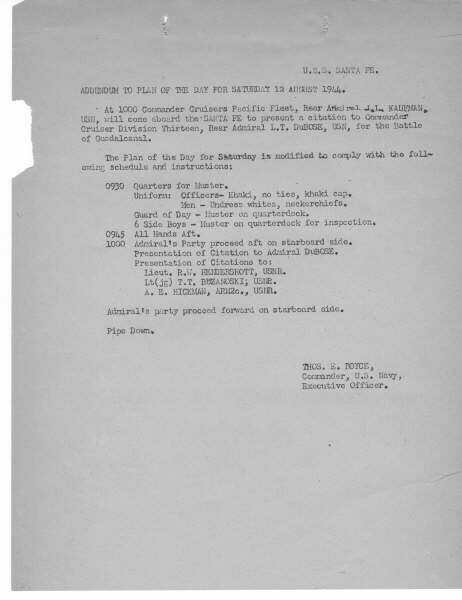 And a scan of my father's citation. 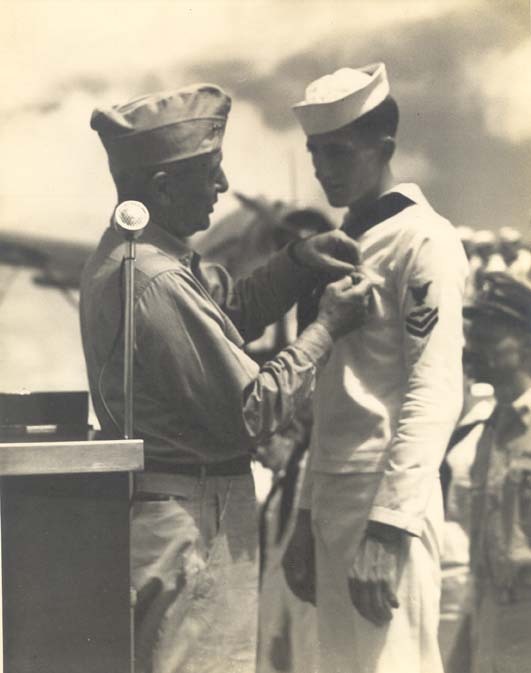 Art Hickman indicated to me last fall that his citation was for shooting down a zero on July 4, 1944 at Iwo Jima. 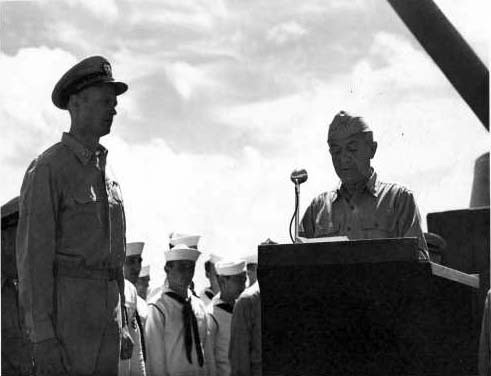 You will notice that the Addendum to the Plan of the Day indicates that Rear Admiral Kaufman would present a citation to Rear Admiral Dubose for the Battle of Guadalcanal. 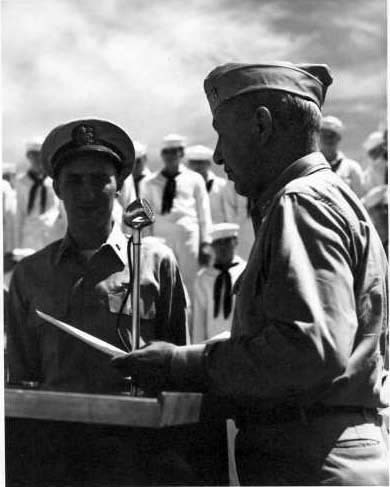 Would it follow that Rear Admiral Kaufman would also present the citations to the other men as well, and that he is the presenter in the photos? I'll try to find out definitively from Art. This from Ollie Biddlecome's daughter, Carla: Dad said that on the picture that is titled "mess" that is Ernie LaPorte holding the cup. 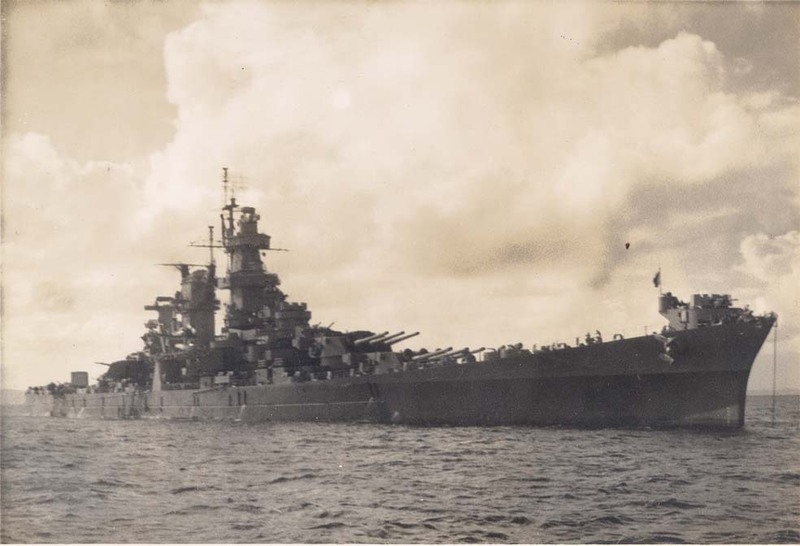 The ship in the picture is either the USS Alaska (CB-1), or USS Guam (CB-2). 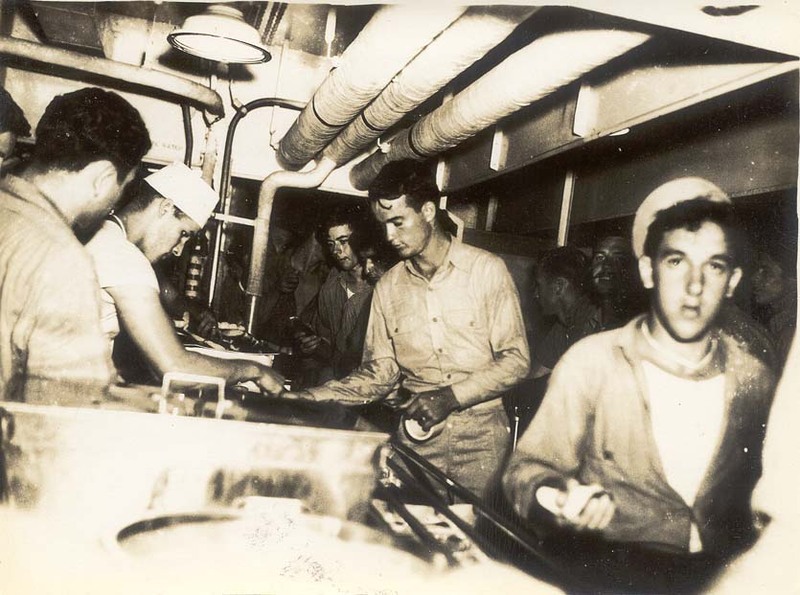 Cruisers" but to many, they were referred to as "Battle Cruisers." completed and like the Alaska and Guam, was scrapped circa 1959. From Don Jackson: Speech: Speaker unknown; Captain Wright, Commanding Officer, Commander Boyce, Executive Officer, Santa Fe.